Very tempting platter. Pulao looks delicious. baby corn is my favorite. Can have this rice any time. First time here. following you. Hope you will visit me too. Awesome pulav..My little one loves baby corn so much that I will try this one..Nice colour too..Tempting. 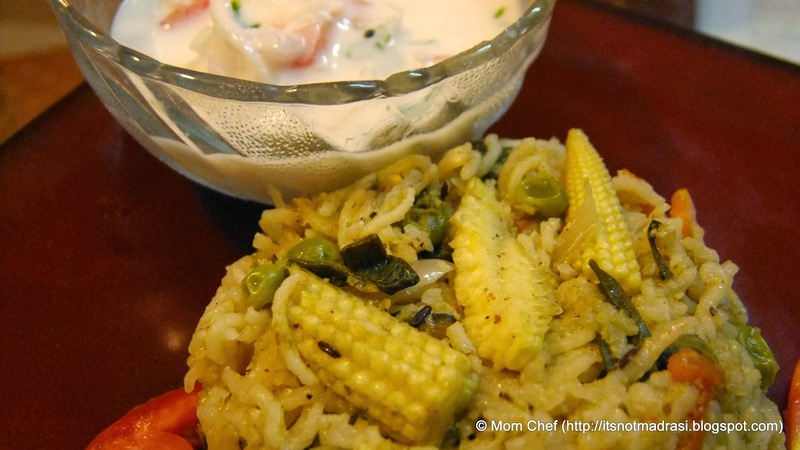 I have never tried baby corn in pulao...Looks very delicious. 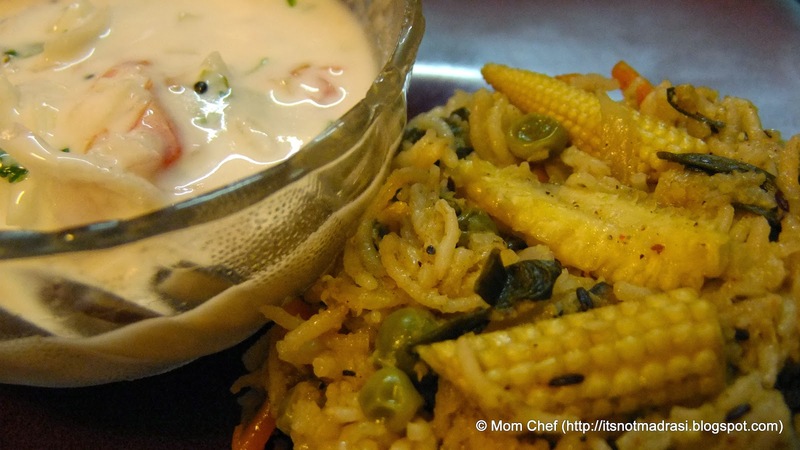 Baby corn pulao sounds and looks very tempting.. I need a lot of recipes for my pressure cooker. Thank you, that's one of the most useful things I've ever read. that looks really good ! COOL!! thank you for your share!